TUPELO – (AP) Charges were dropped Tuesday against the man accused of sending ricin-laced letters to President Barack Obama, Mississippi State Sen. Roger Wicker and a Mississippi judge Sadie Holland, while authorities searched at another man’s home in connection with the case. Prosecutors couldn’t immediately be reached for comment. Everett Dutschke said in a phone interview with The Associated Press that the FBI was at his Tupelo home Tuesday for the search connected to the mailing of poisoned letters to Obama, U.S. Senator Roger Wicker of Mississippi and a state judge. Dutschke said his house was also searched last week. Dutschke has maintained his innocence and says he doesn’t know anything about the ingredients for ricin. He said agents asked him about Curtis, whether Dutschke would take a lie detector test and if he had ever bought castor beans, which can be used to make the potent poison. “I’m a patriotic American. I don’t have any grudges against anybody. I did not send the letters,” said Dutschke,who hasn’t been arrested or charged. Tuesday’s events began when the third day of a preliminary and detention hearing was cancelled without officials explaining the change. Within two hours, Curtis had been released, though it wasn’t clear why at first. “The searches are concluded, not one single shred of evidence was found to indicate Kevin could have done this,” Defense lawyer Christi McCoy told reporters after a hearing Monday. McCoy said in court that someone may have framed Curtis. She questioned why Curtis would have signed the letters “I am KC and I approve this message,” a phrase he had used on his Facebook page. Later, at the news conference, Curtis said the past week had been a nightmare for his family. FBI Agent Brandon Grant said in court on Monday that searches last week of Curtis’ vehicle and house in Corinth, Mississippi, found no ricin, ingredients for the poison, or devices used to make it. 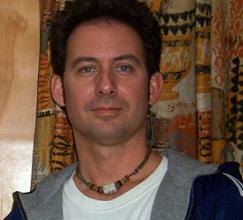 A search of Curtis’ computers found no evidence he researched making ricin. Authorities produced no other physical evidence at the hearings tying Curtis to the letters. Curtis was arrested last Wednesday at his house in Corinth. The first of the letters was found two days earlier. Grant testified Friday that authorities tried to track down the sender of the letters by using a list of Wicker’s constituents with the initials KC, the same initials in the letters. Grant said the list was whittled from thousands to about 100 when investigators isolated the ones who lived in an area that would have a Memphis, Tennessee, postmark, which includes many places in north Mississippi. He said Wicker’s staff recognized Curtis as someone who had written the senator before. All the envelopes and stamps were self-adhesive, Grant said Monday, meaning they won’t yield DNA evidence. He said thus far the envelopes and letters haven’t yielded any fingerprints. On Tuesday, people in hazmat suits were seen going in and out of Dutschke’s house on a quiet block in Tupelo. Investigators from the FBI, U.S. Marshals Service and U.S. Capitol Police were seen outside the house. Dutschke said he counted at least 30 law enforcement agents. Dutschke said his attorney wasn’t with him and he didn’t know whether he was going to be arrested.